NEW “EVERYDAY” Lower prices on Fine Art and Traditional Canvas! NEW Guaranteed PERFECT BORDERS every time! Gallery wrapped canvas can also be finished with a solid colour border along the sides. Choose from white, black or use a “colour-picked border” selected from within the image being printed. 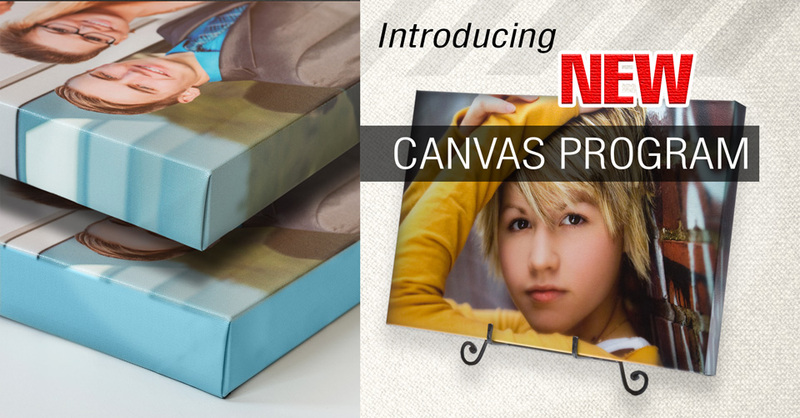 NEW HANGING OPTIONS: Wire Hangers, Wall Buddies, Sawtooth Hangers, bumpers and paper backing are all standard features on our Premium canvases. Over 145 standard sizes are available up to a maximum of 40×60″.